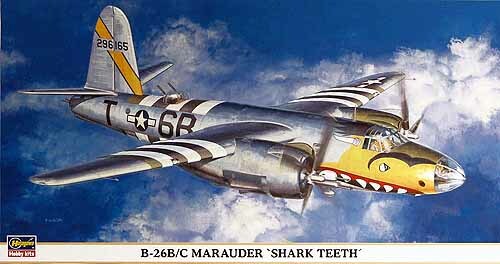 B-26 B/C MARAUDER "SHARK TEETH", 174 Pcs. L: 253mm, W: 300.5mm. 1. B-26 B-55: U.S.A.A.F. 397th BG 599th BS Code: 6B-T.